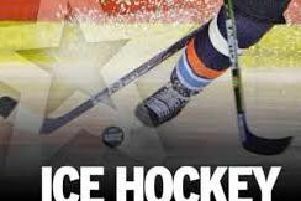 Sheffield defenceman Davey Phillips says he felt pretty calm during the tense finish of Great Britain’s 4-3 victory over Italy in the World Championship Division 1 Group A in Budapest. GB beat the world’s 18th seeds to secure their third win in four matches in Hungary and now know a point in today’s game with the hosts will guarantee them their first return to the top flight of world ice hockey since 1994. Britain were under intense pressure in the final 10 minutes but dug deep to secure a thrilling victory. “That was a crazy game to be part of but we kept our heads,” said the Steelers d-man. “Everyone kept their cool and we found a way to win again. It was an outstanding performance. A point for Britain against Hungary would secure the gold medal as well, while there are also scenarios which would see GB promoted without even playing. “This has been an amazing journey,” said Phillips. “We have such a great group of guys and everyone has worked so hard. GB against Hungary faces-off at 6:30pm UK time.